Work this week is going to be an absolute total grind, inasmuch as I have three huge deadlines by the end of the month that cannot be missed...So, it's burning the candle from both ends until they are complete...ugh...Oh well. Like they always say, "to whom much is given....much is to be expected..." I believe that comes under the heading of "shut up and get busy." Or there's always the old standby..."if the barn needs a paint'n....then git a brush & git after it." I experienced a few short moments of back and forth with the mental thoughts of sneaking in a smoke here or there...(of which I promptly recognized as simply a byproduct of my recent relapse and that it did not necessarily need to be acted upon. So, without any further ado, I would like to wish all of you a wonderful start to another week of work, and happy smobriety!!!! Remember...."keep them away from your face!!!!" Pops with 25 Days of Freedom!!! So Jump into your new work week! Congrats on 25 days. Keep stacking. Have a great day. Ride on Ride on. I'm not going to smoke over it! Way to go Pops! 25 days is amazing! 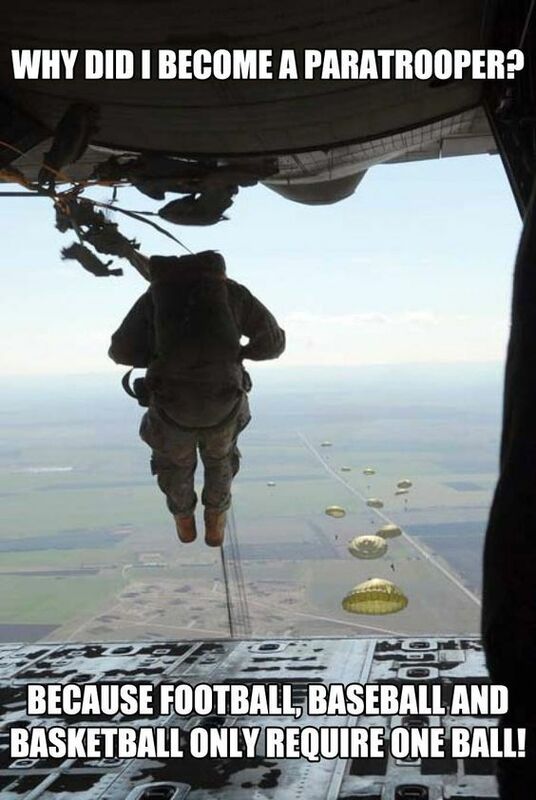 LOVE the paratrooper joke. This IS one day at a time and you get to look forward to when this work grind is OVER. You are clearly a star at work and you are working toward a comfy retirement some day...RIGHT? Happy Monday! Don't know how I missed your blog this morning - guess just not enough coffee in me at the time. Even after 4 years I still have those thoughts of just one - but in my world and your world there is no such thing as just one. But on a positive note, I rarely have those thoughts now. You are doing great Ken - one day at a time - that is how we all do it! Congrats on your 25 days!